Are you ready for another amazing Mom Boss? Meet Brittany Deer! 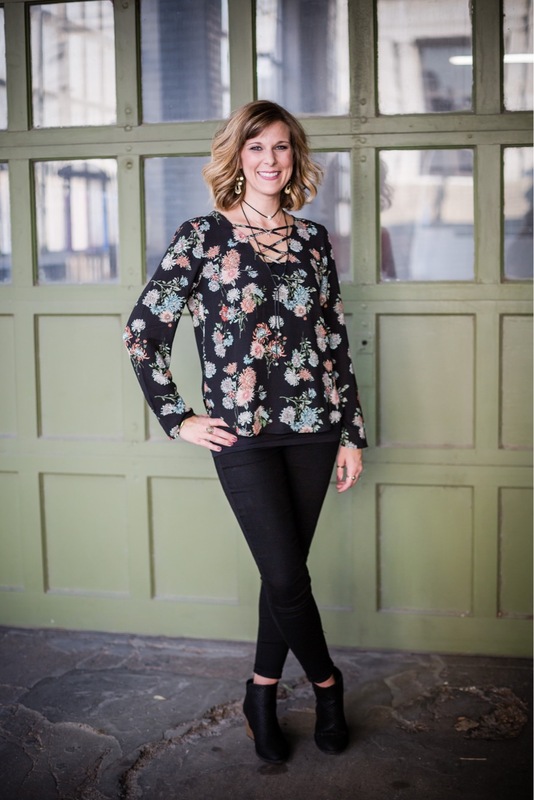 Brittany is a Life and Mindset Coach. The following post contains affiliate links. If you purchase, I will get a commission at no extra cost to you. I had the pleasure of “meeting” Brittany last fall. We actually met at Starbucks. It turned out that she knows my father in law (like everyone else here in Evansville, IN). Brittany has a gift of connecting with women (and kids). She has a vulnerability and rawness about her that I just love. 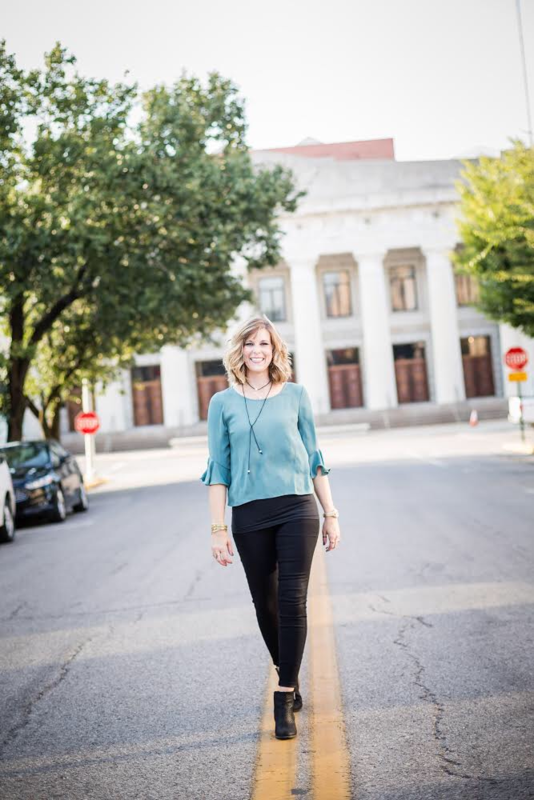 I knew right away before I had even thought about doing this Mom Boss series, that I wanted to interview her. So without further ado, meet Brittany Deer. My husband and I had hit our rock bottom in life a couple years ago. 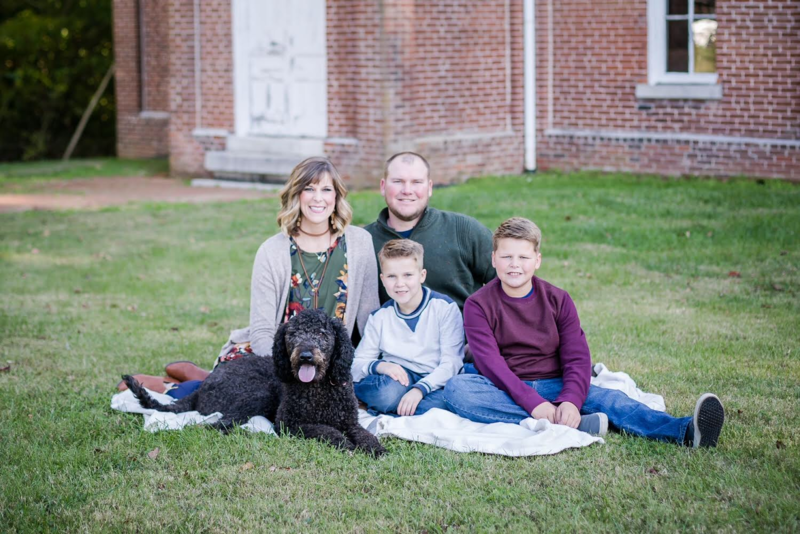 House was in foreclosure, dealing with a child with mental illness, we were about to get divorced and our two boys were suffering from having parents that were never fully there. Mentally and physically. So I hired a life and mindset coach and started to do the work. Investing in my thoughts and checking in with myself to see what types of actions I was taking and then what kind of results I was getting from those thoughts. Learning what childhood beliefs didn’t support the life I wanted and shifting them. Starting out I did this work with the most basic life tasks, like getting out of bed not feeling overwhelmed and started to see massive transformation. From there my goals started getting larger and larger leading more towards my dream life. The life I always dreamed about but was so far fetched. After doing the work and still doing the work I knew this was my purpose in life. To share my story and guide women and children to find their own inner power to want something better for themselves and their families! What is not on the schedule doesn’t get done. If it’s a priority, it gets put on the schedule. And we sometimes have to be willing to not get things done in order to get to our priorities. An example is time with my husband. It is a priority, like top notch priority. Families that have children, their spouse is always the last one to get the time. So I literally have “husband time” on my shared calendar with Tyler. We met on the good ole Ohio River. Living near the river, in my younger days I often had friends who had boats and we would spend the weekends out on the water. Memorial Day weekend was always a big one and he was with a friend of a friend on the same boat I was going on. Oh, geez. I’m clumsy. Honestly, I can’t even remember anything because clumsy is just part of who I am. What is that one song that always makes you happy? What’s your jam? Oh my!! I LOOOVE music! My family always has music on. One song that makes me happy though for many many years is Who am I by Casting Crowns. It’s not a up beat song but it reminds me every single time I hear it that life isn’t about what I have done but what God has done for me. And not about who I am but about who He is. Either Faith Hill or Kathie Lee Gifford. Here’s a totally unfair question…If you had to choose between wine or coffee for the rest of your life, which would you choose? When I became a mom, I wish someone would have told me…. Honestly, I have a great support system. So I received, and still receive, lots of advice. I truly believe that doing it the way that works for you will teach you the best lessons in life. That they are so loved beyond words. They have a God that loves them more than anyone and is with them always. They have parents that will support and love them always. I’m currently reading Sole Survivor by Holly Dunn Pendleton. Wake up, read my daily devotional, get my kiddos on the bus, work on my business, go to the gym, come back home, work in my robe or gym clothes, get my kiddos off the bus, from 4pm-7pm spend time with my kids (baseball field, basketball court, boys scouts, wrestling, homework), have dinner at our kitchen table together, spend an hour or so with my husband talking about our day, sit in bed watch TV or read until 8:30-9pm, go to bed. If you could give 18 year old you one piece of advice, what would it be? 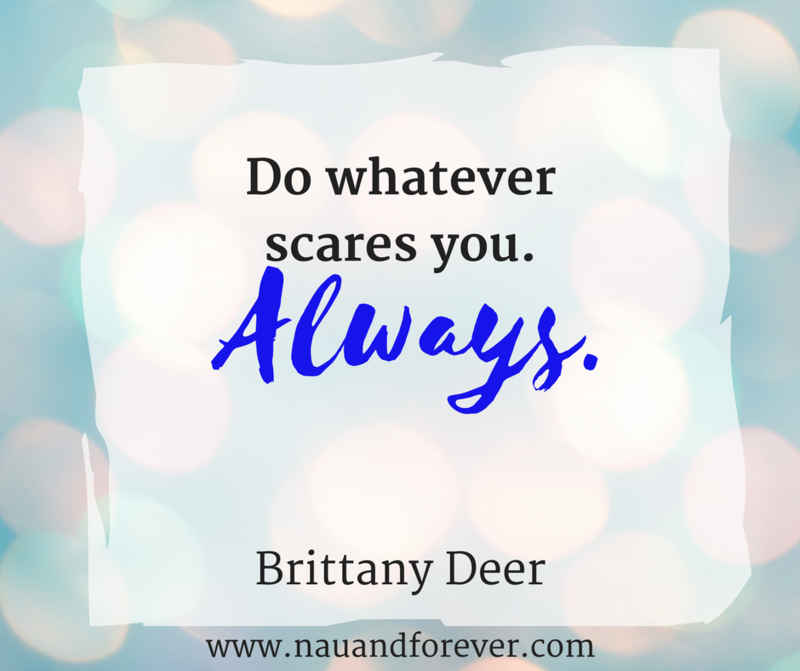 Do whatever scares you. Always. If you are being called to start a business or a side gig. Don’t sit and think about all the what ifs because your mind will eventually talk you out of going after it. Think about THE WORST thing that could happen if you do start your own business. If you don’t think about physically or literally dying then you should do it. The work is never done. Mind work is part of self care and self love. We have 50,000+ thoughts per day. We often don’t notice our own thoughts, the power of them, and the results we are getting from them. Coaching can create some simply shifts to change your entire life and the world around you! 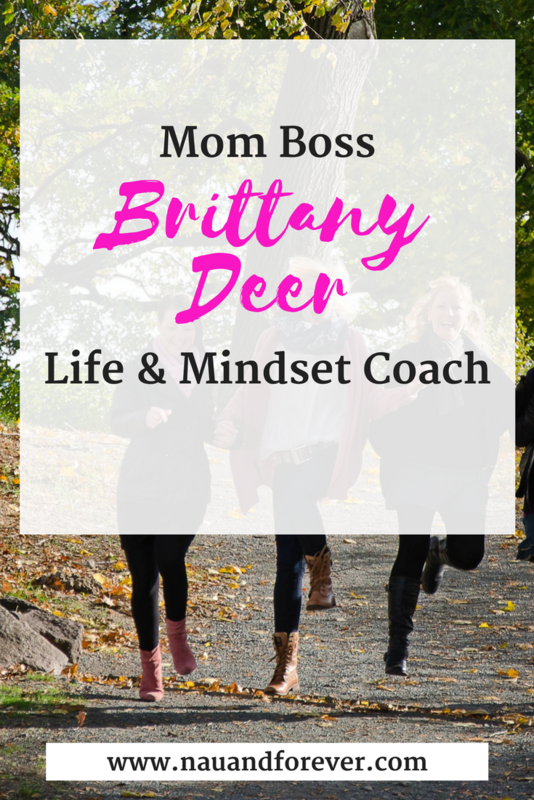 Be sure to follow Brittany Deer on social media and check out her website on life and mindset coaching!